What makes a gin a gin? Juniperus Communis! More specifically the berry of this particular species of Juniper. Yes, there are many species of “Juniper” trees: 52 or 67, depending on which Botanist you choose to believe. The berries of each species have different flavors, though of course they are mostly similar. 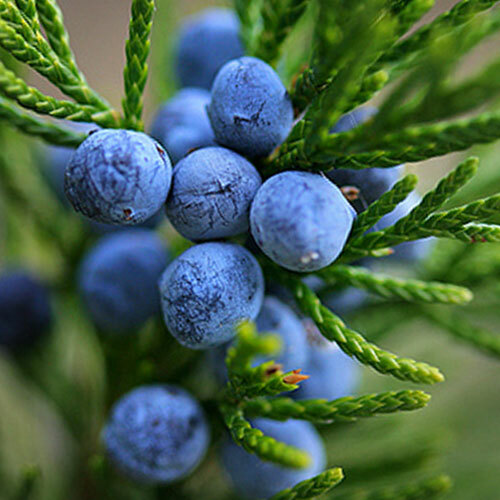 But Juniperus Communis is the principal source of juniper flavoring for Gin. Certainly this spice is not the only flavoring in your favorite Gin. Additional spices and botanicals may include citrus (lemon, orange peel, lime peel etc. ), anise, licorice, cinnamon, almond, saffron, coriander, nutmeg, cassia, and other, more exotic and rare, spices. But all Gins have, or should have, a bit of Juniper. Interestingly, the ‘berry’ is not really a berry. It is the female seed cone of this evergreen tree. This cone is very small with coalescing scales which fuse together to form a “berry”-like structure. The berries are usually blue, as with the Juniperus Communis. But other species of Juniper may have red-brown or orange berries. So the next time you enjoy your Perfect Martini lift a toast to Juniperus Communis.